This is the fourth outing for Fiona Veitch Smith’s intrepid 1920s heroine, Poppy Danby, and is an absolute treat. Smooth and assured in both its structure and style – the Poppy novels have progressed from good to better as you’d hope for in any series by a new author – The Cairo Brief sees journalist Poppy investigate the strange affair of Nefertiti’s death mask. The novel begins intriguingly with a disturbing tale from a tomb in El-Amarna in 1914; a nefarious if brave adventure and a horrific discovery. It sets the scene nicely, although we have to wait a satisfyingly long while for its full significance to hit home. Sarcophagi, scary dark tunnels and sinister shadows in that first chapter build the tension and the excitement, and while the slightly less exotic surroundings of London and a country estate in the winter of 1921 are the settings for the rest of the story, we never quite lose that pervading sense of something mysterious, something other. I appreciated that frisson lending depth and colour to the novel, and suspect other Fiona Veitch Smith fans will too. A fascinating cast of characters, real and imagined, throw up a multitude of political and personal motives, while more than one character hides metaphorically behind a mask – or a more workaday fedora. Nefertiti’s magnificent death mask (imaginary, sadly, so far as we know) shines at the heart of the affair and Poppy must uncover what is hidden without herself falling foul of any ancient Egyptian curse – or more to the point, the aim of any modern murderer to whom she steps too close. Atmosphere is as important as the slick plot and engaging story in this novel and it added hugely to my enjoyment. The misty gardens at Winterton Hall, the British Museum and surrounding streets in snow, all underpinned by that first spooky scene in the newly discovered tomb provoke delicious chills and put the reader very firmly in Poppy’s un-sensible shoes. A delight from start to a rewarding finish. 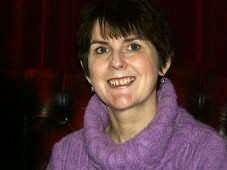 Formerly a journalist, Fiona Veitch Smith has written books, theatre plays and screenplays. She is best known though for her novels and children's picture books. Her 'Young David Picturebook' series (illustrated by Amy Barnes Warmington) are based on the Biblical character of King David when he was a young boy. 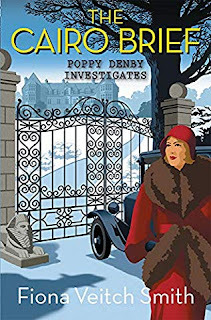 The Jazz Files is the first novel in her mystery series, Poppy Denby Investigates, and is set in the 1920s. Her standalone novel, 'The Peace Garden', is a romantic thriller set in England and South Africa. She lives with her husband, daughter and two dogs in Newcastle upon Tyne where she lectures in media and scriptwriting at the local universities. She has a passion for cheesecake, Pilates and playing the clarinet - preferably not at the same time! re-engages with The Novel. When she isn't editing, managing or writing she is usually to be found on the tennis court – or following the international tour at home on TV. 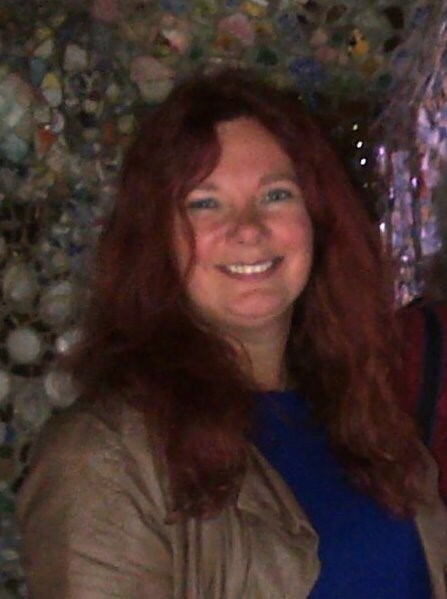 Usually with several books on the go, she entertains a penchant for crime fiction, history, and novels with a mystical edge. She is engaged in a continual struggle to find space for bookshelves and time for her friends and her cat.